STOP WORK ORDER! 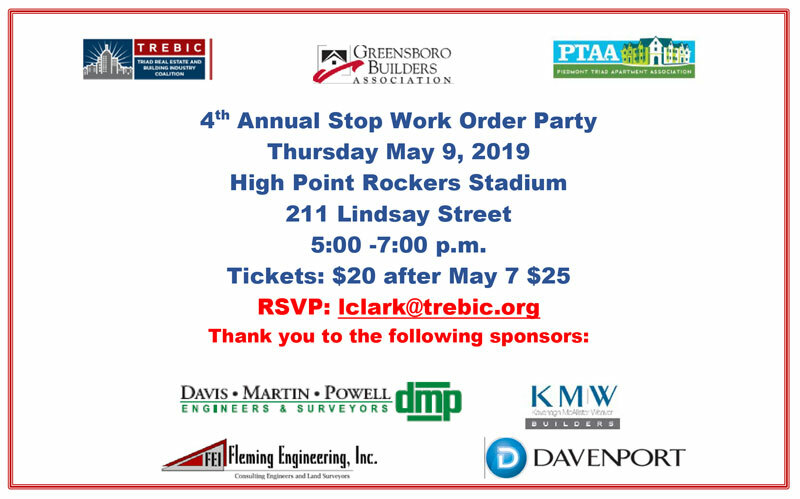 Public Staff Appreciation Event… March 13, 2017 Mark April 27th on your calendar for TREBIC's Stop Work Order Event. 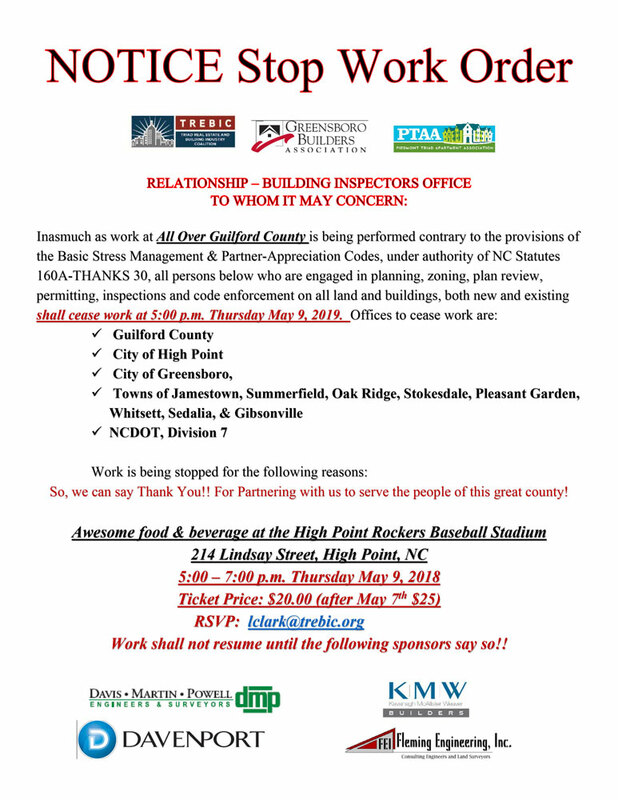 Come out to the Traveled Farmer (formerly The Marhsall Free House) for an opportunity to network and build relationships with government staff from Guilford County, High Point, Greensboro, all the other small towns.